Born at Bikrampur (Bangladesh), Nibaran Chandra Dasgupta was the Head Master of Purulia Zilla (District) School. Purulia at that time was a township in the district of Manbhum in the State of Bihar. He was also the honorary District Magistrate of Purulia. He left his job in 1921 to participate in the” Non Co-operation Movement “ launched by Mahatma Gandhi, for which he served an imprisonment sentence. 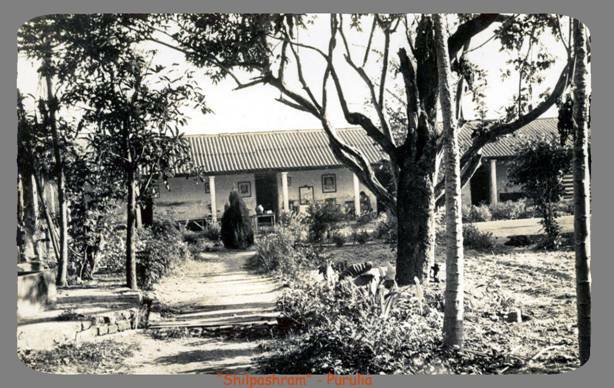 After his release, Nibaran Chandra along with Atul Chandra Ghosh, founded “Shilpashram”, (Rural Industry Development inside the Ashram living mode) initially at deshbondhu Road then permanently at Telkalpara, Purulia town. Soon, “Shilpashram” became the epicenter of the freedom struggle of Manbhum region. All Congress activities of Manbhum district had the unique distinction of association with “Shilpashram”. The foremost Indian political leaders and freedom fighters like Mahatma Gandhi, Netaji Subhas Chandra Bose and Dr. Rajendra Prasad paid several visits to “Shilpashram”. 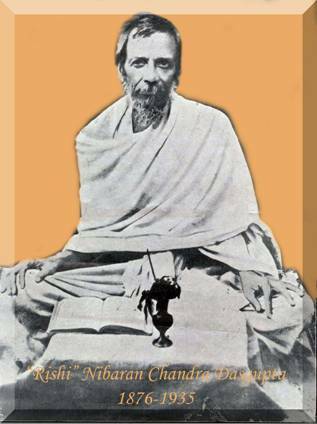 He was also the founder-editor of “MUKTI” the first Bengali bi-weekly from Manbhum district. It played a great role during the independence movement and “Language Agitation’ (BHASA ANDOLON). Like a sage, Nibaran Chandra dedicated his life for the betterment of his countrymen. He breathed his last at “Shilpashram” on 17 July 1935.